1. A palace in the California desert? 3. Containers of hope or your dream scope? 5. The fairy tale home! 6. Boat on a road! 8. 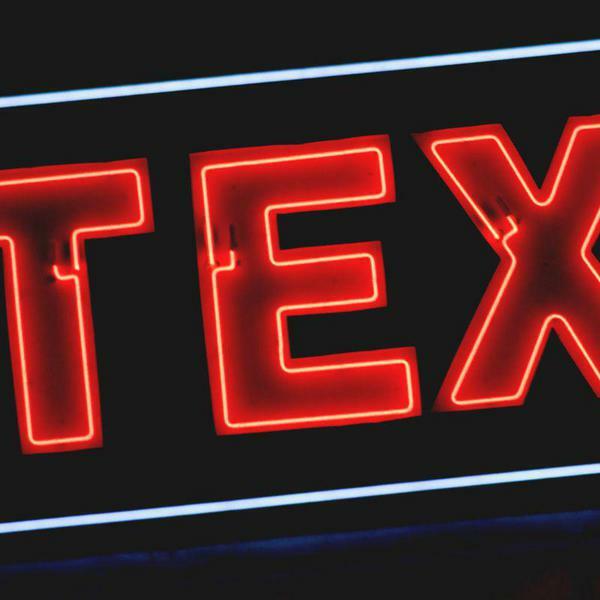 The home of desires! 13. 6 red riding hood! Did you know every year more than half a million shipping containers are left behind and used for alternative purposes? And honestly, I found the best way to use these leftover containers is to build a dream home with it. A shipping container lasts up to 20 years and the best part is you can build a very cost effective house with it very EASILY. 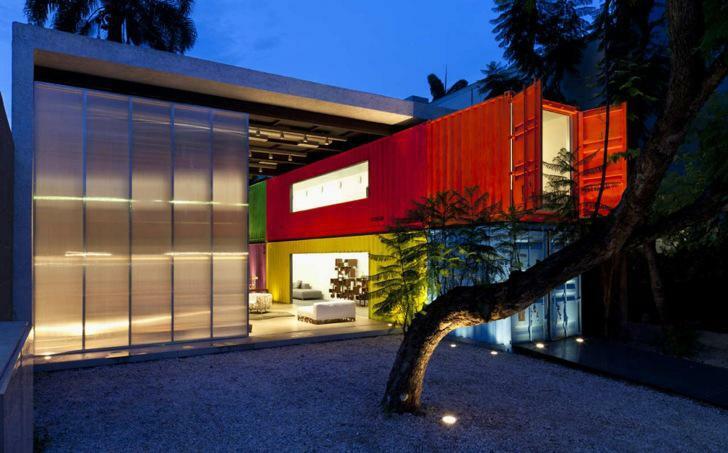 Let’s take you on a journey to the 15 most beautiful shipping container houses out there. Who knows someday your dream home might look like one of them! A palace in the California desert? Look at this marvelous vacation house designed by London designer James Whitaker. Natural light and desert landscape, what else do you need for living? I call it a palace in the desert. What about you? Ever imagined a furniture store to be built in a shipping container? The colourful and beautifully lighted containers can become even more beautiful if you decide to live in it. Containers of hope or your dream scope? Why did I call it the dream scope? 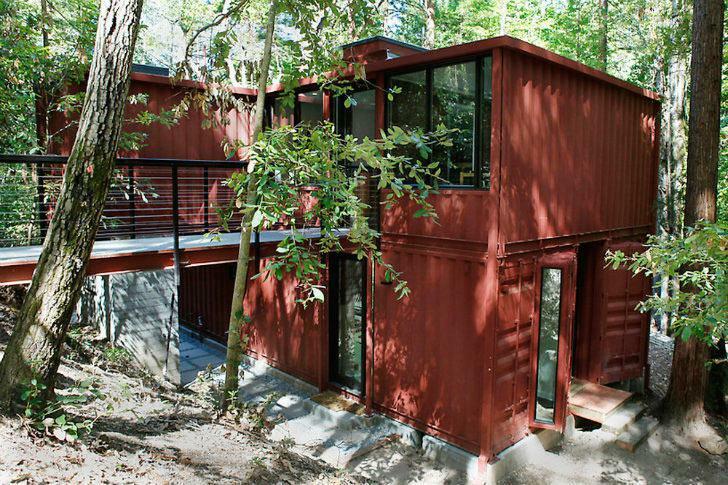 Because, this marvelous container home is built within a $40,000 budget. Built by Benjamin Garcia Saxe in Costa Rica, this home is more spacious than it looks. As shipping containers have a lesser width than length, placing two containers side by side can solve the problem. Vacation in container home and barbecue at night! It is a transformation of an ordinary container into a glamorous modern home that many people would envy. This is innovation at its best. You can see how light can infiltrate through the glass into the house. And in the morning you have your best friend ‘natural light’ waking you up! Ever come across a home that looked like one from the fairy tales? 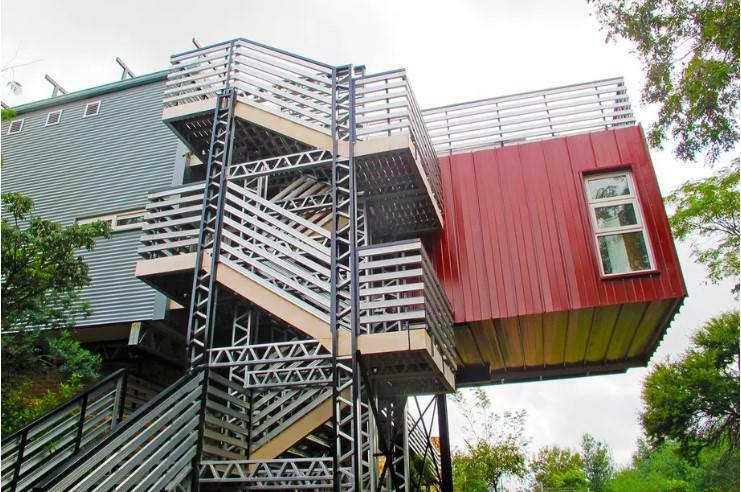 This home is made from shipping containers stacked together. And you can see how the light is used to put life into this home. Wait! 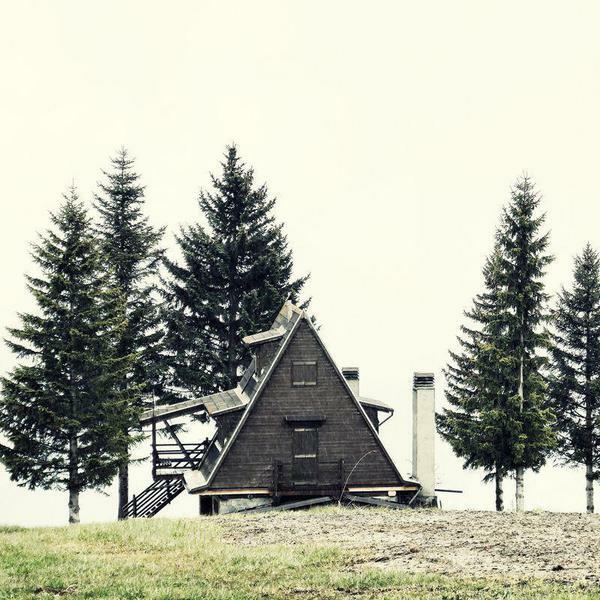 The Cedar tree is not a part of the house? But it certainly does look like it is! A slight modification allows soothing natural light to capture this house. I can’t really tell if any shipping container is used to make this Yacht like house. The disguise made by modifications have created a better illusion that is visibly appealing. 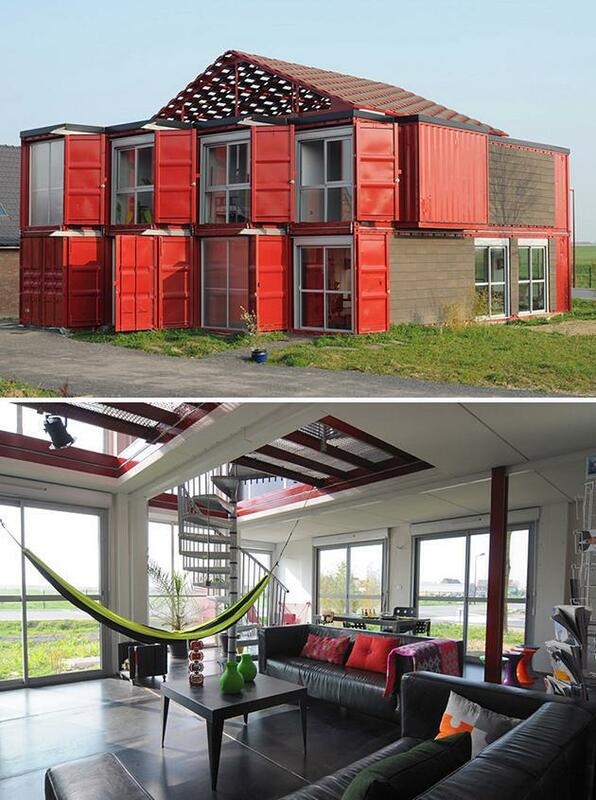 For those who want shipping container houses but doesn’t want it to look obvious, this is it! 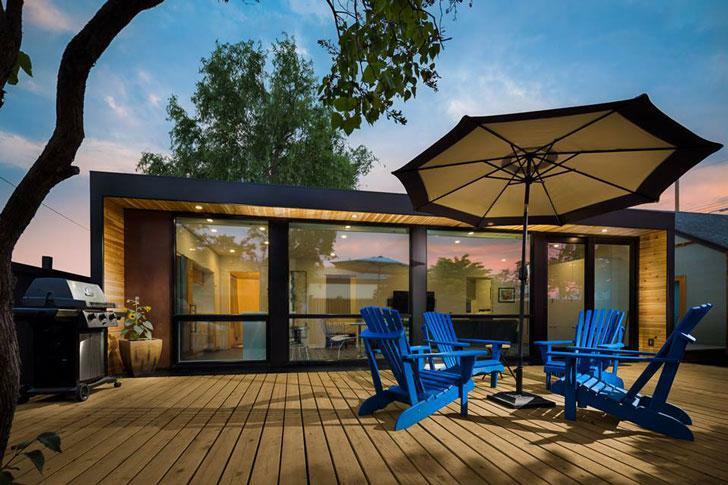 Save your money and this article, of course, find some good container house builders! Yes, you are on your way to building your dream container home! In the world where wastage is a common scenario, this outstanding home is built using recycled materials and most importantly re-purposed shipping container. That too in South Africa! Why did I call it the home of desires? Because such a home might be all that you desire right now. 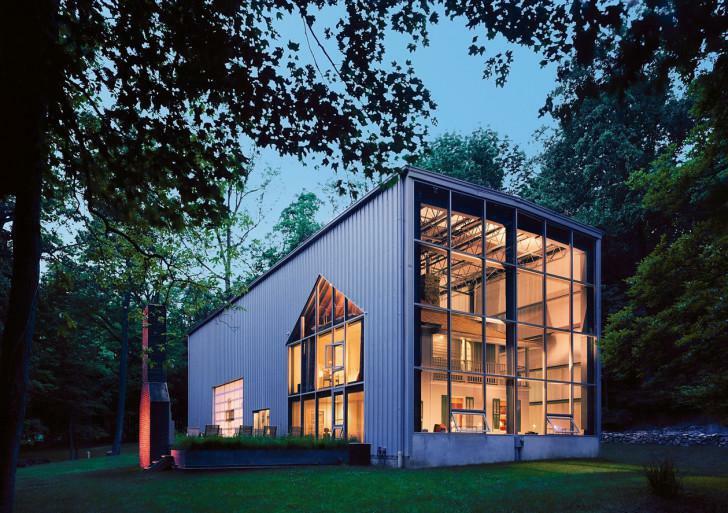 This simple and loving home is built by New Jersey architect Adam Kalkin. You can get a used shipping container for as less as $1000. Then it’s up to you how you want it to look. 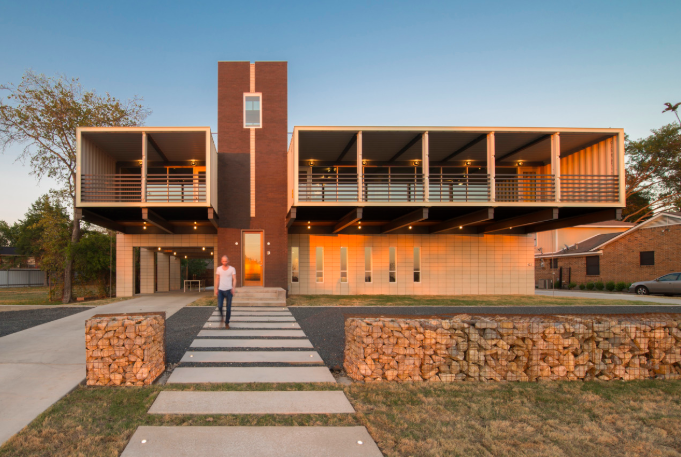 This masterpiece is built by Pasadena-based Shipping container company Kubed Living. 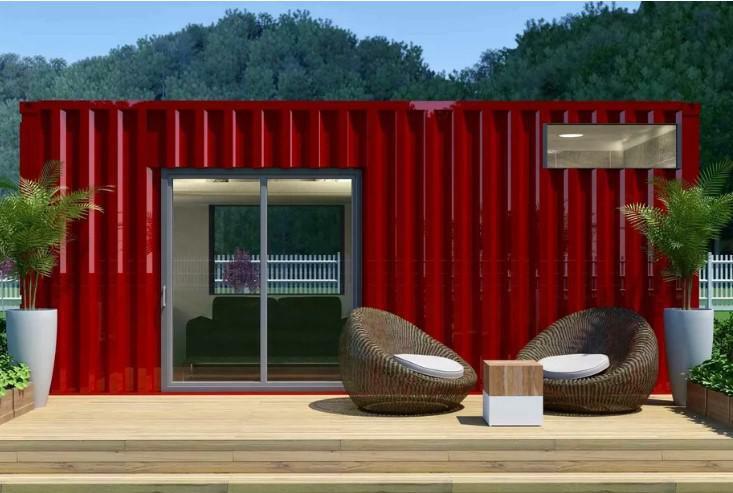 This single container based house is up for sale at just $55000. What I love about it is everything you need from cabinets to fridge is already included in it. Best thing is it is super small, yet super spacious. Storage container houses have opened up doors for creativity. 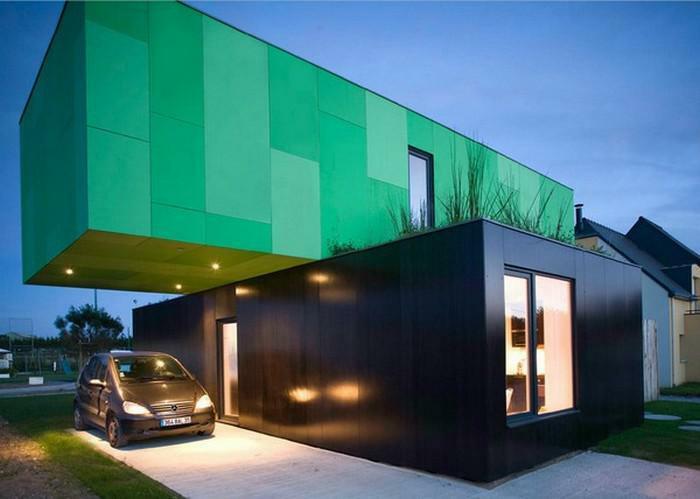 This particular house uses 4 container boxes in cross-ways making it look expensive. Which we know that it isn’t! The upper part gives the illusion of a floating house which is really the trademark of this design. You can see the smooth external finish and it specifically helps to trap heat. Happy winter season! To be honest 3700 square feet is not too much. But when it is built only by shipping containers, believe me, its huge! This incredible home lies in Dallas, Texas. The neighbors couldn’t even believe it could be made possible. 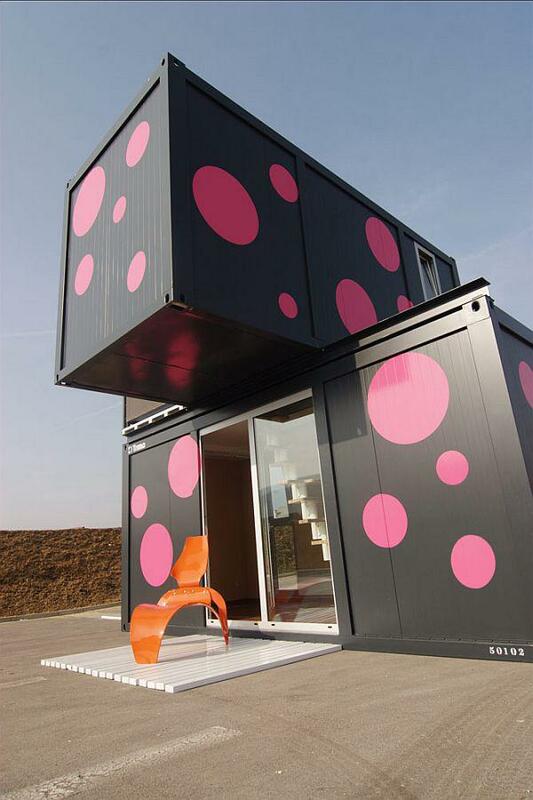 This cute pink-dotted container house represents how with a minimum cost and effort, a great house can be built. The traditional estate market with its rising prices has allowed designers like Jure Kotonik to come up with innovative solutions like this. Get a beautiful home like this and live your dreams! In Flagstaff, Arizona, the above house is an outcome of a 2-year student project. 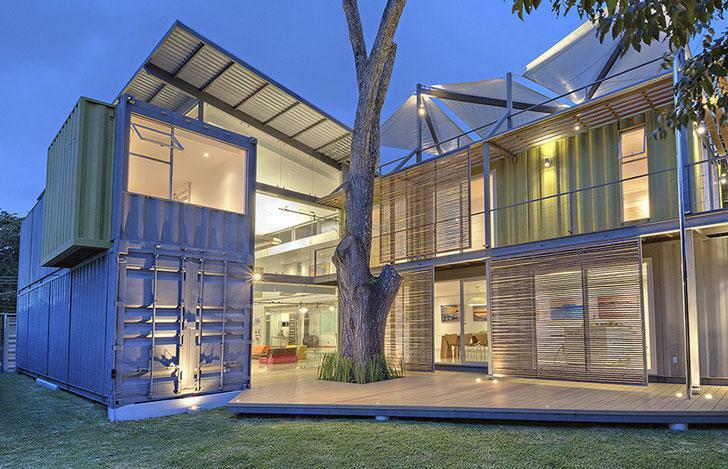 6 shipping containers form the 6 units of this house. 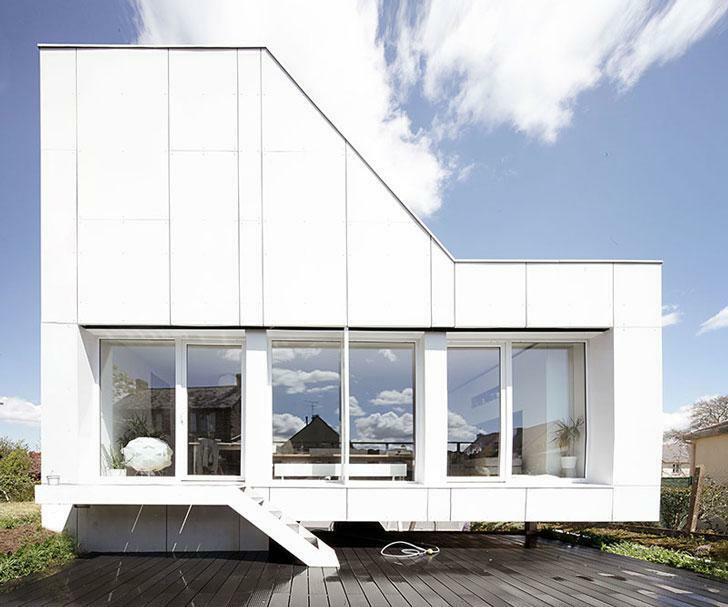 The result is a spacious and amazing dwelling structure. Large glass windows, a rooftop terrace and the beautiful red colour are what makes it look gorgeous. 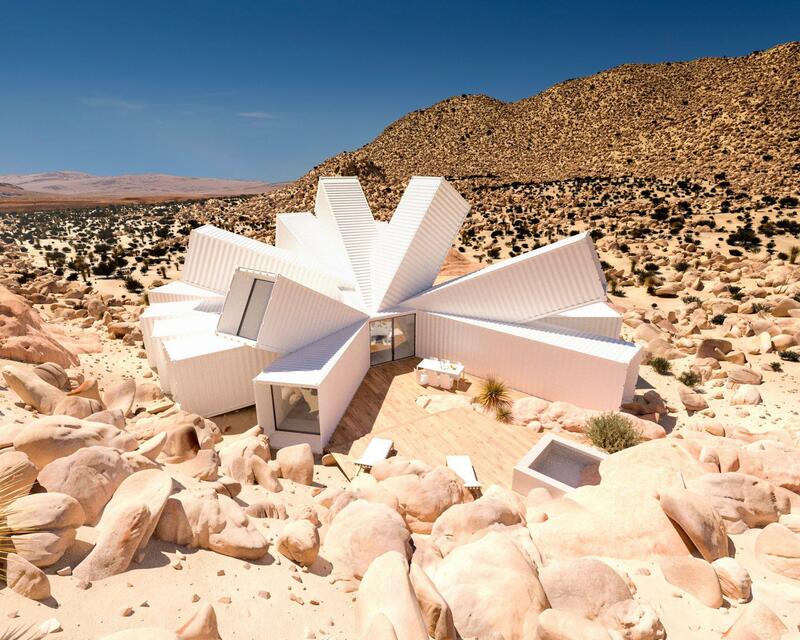 Another shipping container house built in the middle of a desert. This time it is in the Mojave desert. 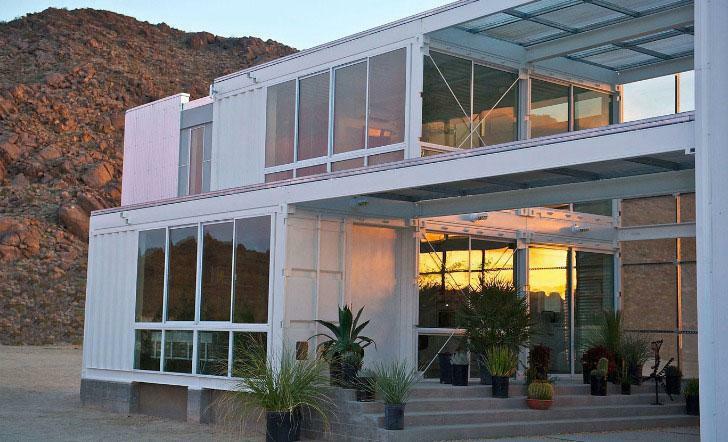 The 2-storeyed structure is one of the best prefab shipping container home I have seen so far. The glass exterior is perfect for a studio as natural light can seep through easily. And the sparkling white colour is perfect for keeping the heat out. Desert lover? Shipping container home lover? Get something like this soon! If you have been on the search for the coolest shipping container home in the world, this beauty over here might already have crossed your mind. The reason for its fame as it blends in modernity as well as a minimalist design. The inner space is open plan and the only way to enter is through a bridge. Amazing! The large windows prove that natural light is eminent in the house. To sum it up, this list of 15 most beautiful shipping container houses is just an inspiration for people who are willing to build one in near future. 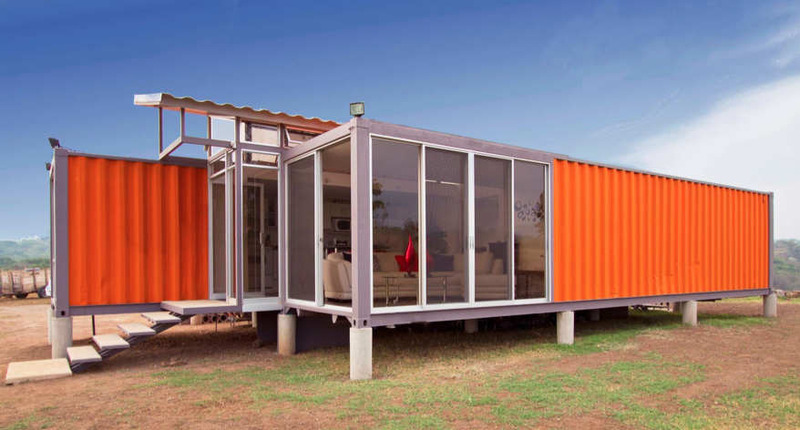 The list contains exotic and minimalistic shipping container homes from around the globe. 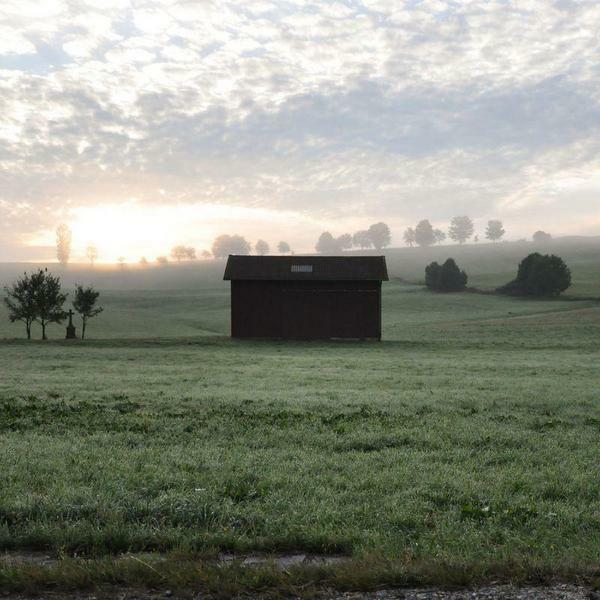 There are tons of them on the internet but what really important is these houses will give you an idea of how your future home might look like. The more you learn, the more you will want it. Better start building it now or at least make a plan!